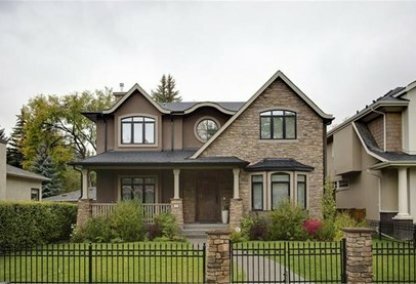 See today's Elbow Park homes for sale in Calgary! Elbow Park is one of the neighborhoods for the well-heed residents of Calgary, Alberta, Canada. It is located in the city centre zone of Calgary, with the pristine Elbow River hugging the neighborhood’s southern and eastern boundary. To learn more about Elbow Park real estate for sale or to schedule a guided home or condo tour, connect with your Elbow Park Calgary real estate team today. Elbow Park housing market statistics: As of April 25, 2019 there are currently 32 properties for sale in Elbow Park listed as active, with an average asking price of $1,982,537. The highest-priced property is $4,395,000; the lowest priced property can be purchased for $699,900. Elbow Park neighbourhood listings have an average price of $674 per square foot, based on listings with 4.7 bedrooms, 4.6 baths, and 2,924 square feet of living space. Thinking of selling or buying a home in Elbow Park Calgary? Call Justin Havre at RE/MAX First - 403.217.0003. Our community of Elbow Park real estate agents will help you navigate the Elbow Park housing market in Calgary. The Elbow Park community is one of Calgary’s oldest neighborhoods. It was annexed to the city in 1907, and its development came after 1910 following its official designation as one of Calgary’s neighborhoods. Only three kilometers or at most, a ten-minute drive, separate this community from the city’s downtown area. This old neighborhood has maintained much of its charm and character over the years, primarily because many of its original homes remain in use. 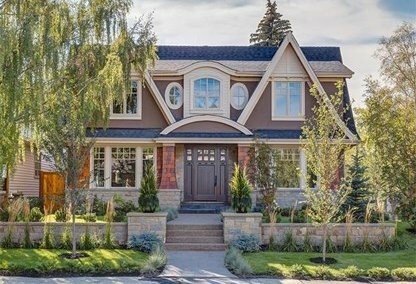 These million-dollar vintage homes, many of which line the banks of the Elbow River, contributed much to the neighborhood having been chosen as among the top fifteen best places to live in Calgary in a survey done by the city lifestyle magazine Avenue in 2010. The community ranked No. 5 in the magazine’s survey, and it was cited, among other platitudes, for its cozy ambience and proximity to the many delights of the Calgary downtown. 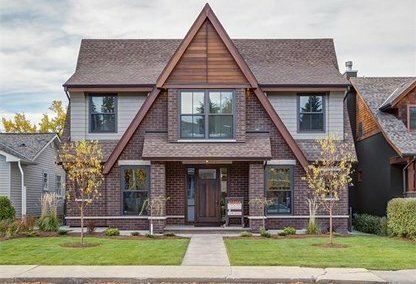 The homes at Elbow Park are mostly single-family detached residences, and only 4 percent of the neighborhood’s residential properties are for rent. The stunning estate homes and spacious bungalows in the community are typically on the market with seven-figure price tags. These quotes are but fitting for homes in the community where the 2000 annual median household income was estimated at a little over $135,000, with only 7.7 percent of the residents in the low-income group. The amenities in the Elbow Park neighborhood include a Community Centre with two hockey rinks, basketball and tennis courts, a skating rink, a baseball diamond, and a creative playground. Elbow Park’s convenient location enables easy access to plenty of shopping, dining, and entertainment venues. Recreational areas nearby include Stanley Park, River Park, and the city’s pathway system. Two public schools are in the area, with one offering French immersion. Planning to buy or sell a home in Elbow Park Calgary? Let our real estate team guide you in your search for the perfect home and professionally facilitate the sale of your existing home. As Elbow Park neighbourhood real estate agents, we know how to navigate the Elbow Park real estate market. Let's get your home sold quickly and at the highest price! Contact Justin Havre at RE/MAX First - 403.217.0003 to find out more about buyer or seller representation. Thinking of selling your Elbow Park home? Check out our free property evaluation tool, where you can easily view Calgary Homes Values online in moments!